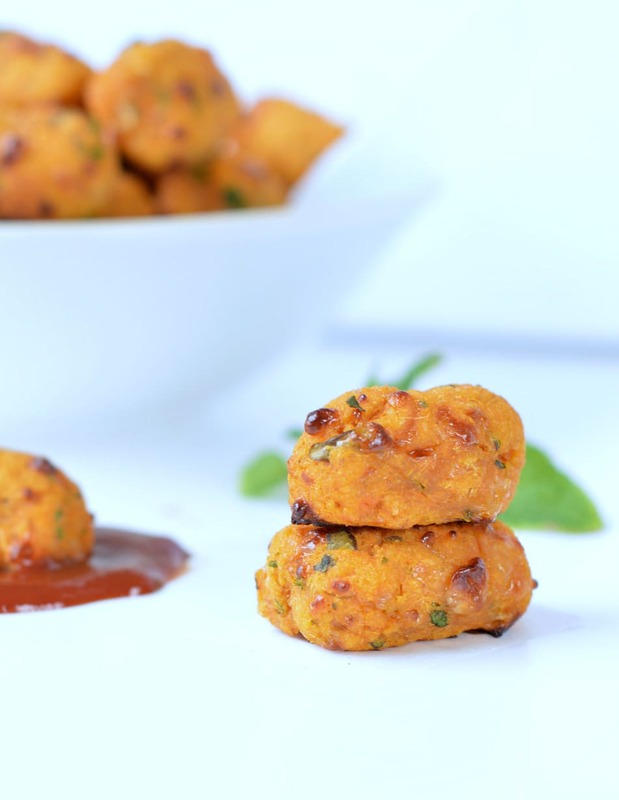 Sweet potato tots is the tastiest way to sneak some extra vegetables into your diet! 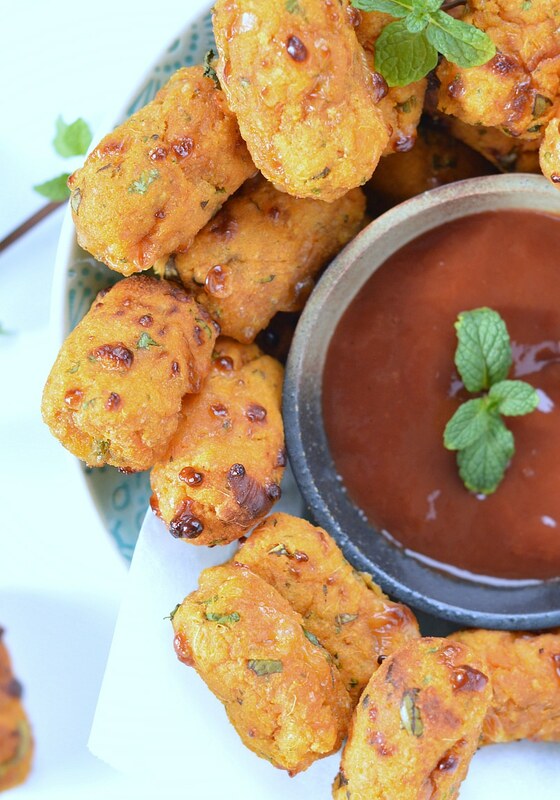 Well, those cheesy sweet potato tots will quickly become one of your next favorite appetizers! Trust me, those simple vegetable bites will seduce all your friends and even the kids! I have a HUGE passion for healthy finger food; I already shared with you many of my favorite recipe : spinach balls, baked zucchini balls, cauliflower tots with great success. Now say hello to those cheesy sweet potato tots! 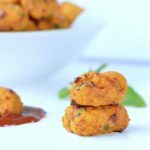 Sweet potato tots or Kumara tots for Kiwis! Well, we don’t eat finger food every night but during the week end I mostly serve only finger food on my table. The past 3 years I developed so much healthy finger food recipes that I also have a way to turn a veggie into a fun appetizer. From Kale Pizza Crust to Spinach balls or those sweet potato tots ANY vegetables found it is place on my party table and I LOVE IT! SO more about those little sweet potato bites. Where to start ? Pretty easy simple prepare mashed sweet potato first. I love to baked my sweet potatoes because it had some nutty flavor to the flesh that you don’t have when you boil them. Also it keeps the mash ‘dryer’ and easier to use in this recipe. Oh! and simple tip here :always pick some hole all around your sweet potatoes because baking them to release the extra moisture. It is also better to wait a while before you extract the sweet potato flesh from their skin cause trust me, I burnt myself many times during this process and it hurts !!! 🙂 HAHA I am always hungry and can’t wait much when I am cooking and I burn myself very often in the kitchen. Then it is a pretty simple recipe. All you have to do is to combine some egg yolk, cheese, herbs and spices of your choice – I used garlic, onion and coriander plus some healthy bread crumb to bind the all ingredients. I choose to use classic gluten free bread crumb for this recipe. I used Bakeworks Gluten free bread crumbs in New Zealand because I love the nourishing flour it contains like millet, buckwheat, linseed and psyllium husk. It is probably the best bread crumb I ever used in long time and I am very happy with it in any recipes I develop. I recommend to simply use your hands to shape the sweet potato tots – much more easier than any tools and if it is a bit sticky simply rub your hands with a tiny bit of vegetable oil before you starts. Look at this lovely orange color! And this is the lovely results after you bake them. Some crispy and cheesy sweet potato bites. You can clearly see the cheesy bites bursting out each sweet potato tots – that is where the crispiness comes from. The center is moist and smooth with a delicious sweet garlic flavor. You can make those ahead of course and froze them before or after you bake them. I personally always freeze my tots before baking and bake them frozen until hot and crispy. Enjoy this recipe and see you soon on the blog! WATCH THE SWEET POTATO RECIPE VIDEO (VEGAN OPTION !!!) AND MAKE THEM NOW ! Cheesy Baked Sweet potato tots recipe - healthy + easy + kids friendly finger food. A moist and crispy bites food perfect as an appetizers too. On a baking tray, place the sweet potatoes. 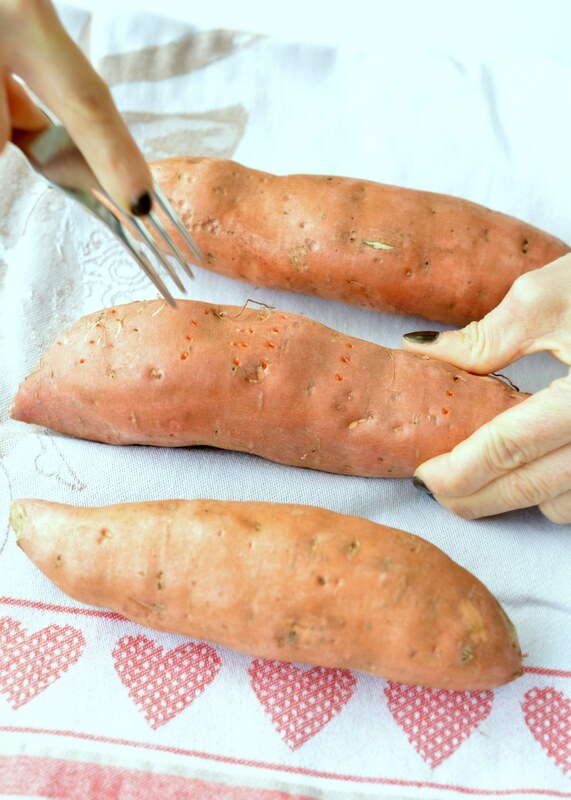 Use a fork to pick holes all over the sweet potatoes. Bake for 30 minutes or until a skewers easily goes through the sweet potatoes. Remove from the oven and cool down 10 minutes before handling them. 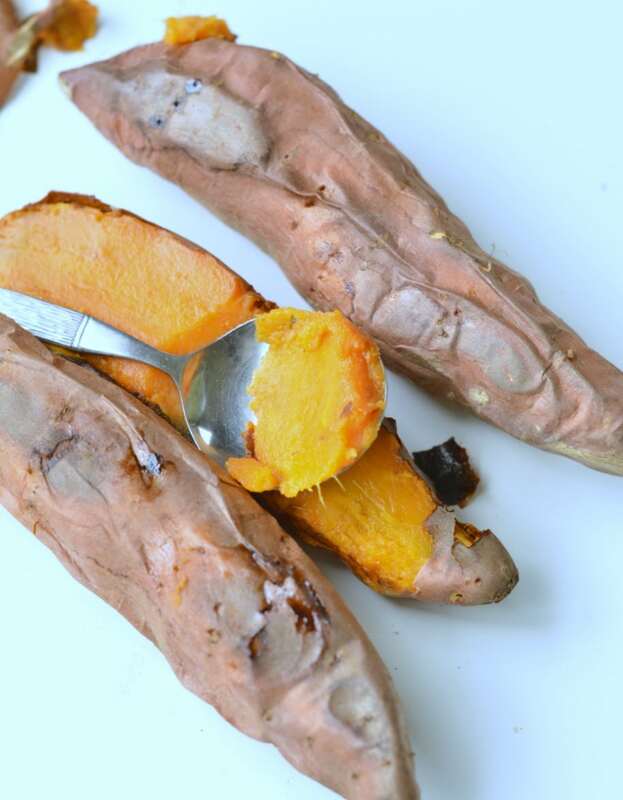 Carefully slice the sweet potatoes half lengthwise and use a spoon to remove the flesh. Discard the skin. Place the sweet potato flesh in a large mixing bowl. Cool down until it reach room temperature before you combine with the other ingredients. Add egg yolk, grated cheddar, grated onion, crushed garlic, breadcrumb, fresh herbs and salt. Combine with a spoon until it forms a mash that you can easily handle with your hands to shape small tots. Use your hands to shape the sweet potato tots and place them on the tray leaving half thumb space between each tots. Bake at 200 C (392 F) for 20 - 30 minutes or until the outside is crispy and slightly golden brown. The center will stay soft and moist. Serve with extra dipping sauce like ketchup or guacamole for an healthier choice. Note 2: This recipe makes about 30 tots. You can freeze them before baking them. The day you want to eat them, simply bake them frozen. It will take a little bit longer to bake but the taste won't change. These look so good! I can’t wait to try them. Thank you for sharing your recipes. I have made your parsnip pizza crust a few times and absolutely love it! 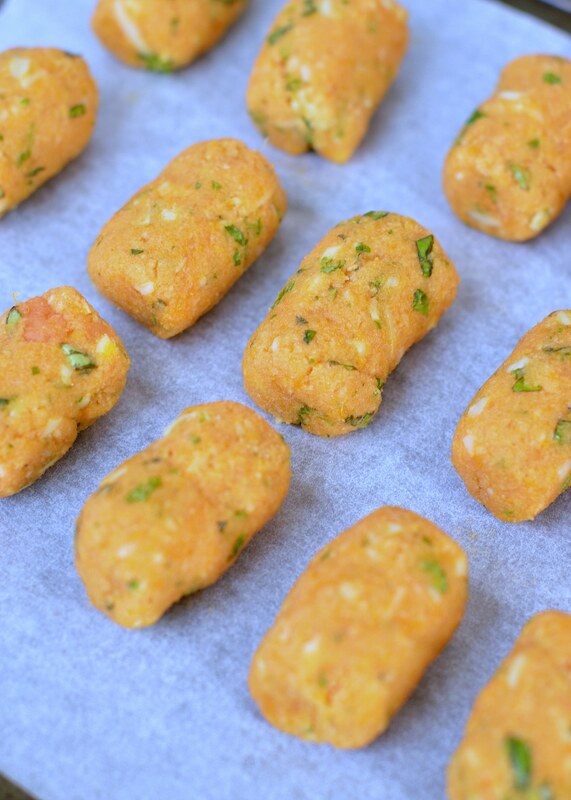 I think I will try these sweet potato tots this week. Hi Terrapin, thank you SO much for following my blog and simple recipes! I love to read your comments. Parsnip crust is so good! 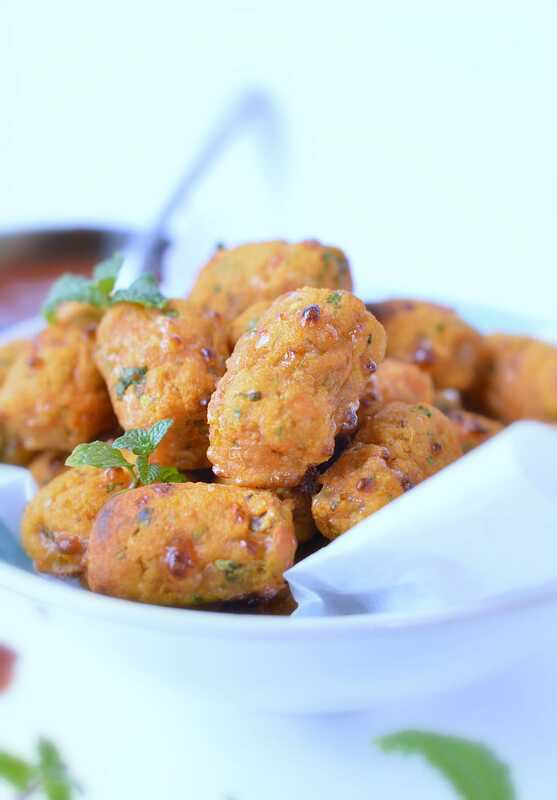 you must try the sweet potato tots you will love it too! delicious! let me know what you think if you try them! see you soon on the blog! xoxo Carine. Hi! I have these in the oven and they smell amazing!! I have cooked the whole batch as I wasn’t sure how to freeze them? How do you freeze them uncooked, do they stick together? 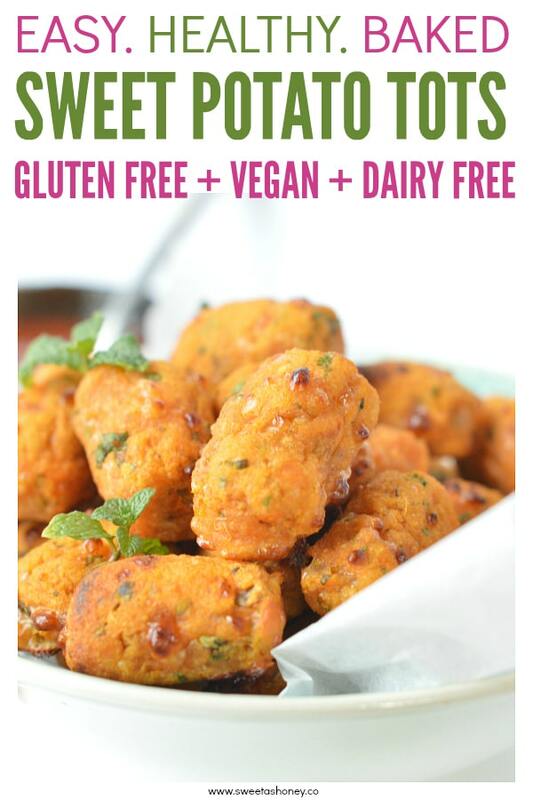 Hi Charlie, I hope you enjoy the sweet potato tots recipe ! I agree they smell amazing. I remember eating them as I pictured them for the blog, irresistible ! I usually freeze those before baking on a plate covered with parchment paper. Freeze for 2 hours or until hard enough to transfer them into a zip plastic bag. As they are half frozen they won’t stick together in the bag and you can make a huge bag for later. Don’t defrost them before baking. Simply lay those on a cookie tray covered with parchement paper or a little oil. Bake until crispy outside and hot inside. I hope this help ! See you soon on the blog, Carine! In America…..200 degrees C equals….how much F.arenheit? Thanks. Hi, Sorry for missing the Fahrenheit conversion. 200C is 392 F. Enjoy the sweet potato tots recipe. They are super simple and delicious. You’ll love them I am sure! Thanks for reading my blog and testing recipes. I hope you’ll try more of them and enjoy it. xoxo. Carine. We don’t have 392 degrees here in the USA..I think it would be 400 for us. Not sure if the time would be shortened or not. I think I’ll keep an eye on them when it’s 20 min to see how long they take. I can’t wait to try these. Thanks for the recipe!! Sure 400F will work well ! It is only 8F difference so you should see a big difference in baking time – maybe check them 1-2 minutes before the recommended time and they will turn out great. My oven is a Celsius oven so I converted my temperature into F using an online converter. That is why there is no rounding 🙂 I hope you enjoy the recipe. Have a lovely day. XOXO Carine. Hi. Can I. Give this to my 9 months old? My son is crazy about like this type of foods. He dont like the purees of veggie or fruits. Thus recipe sounds so yummy. Hi Rinkal, I am pretty sure it is safe at 9 months to eat those tots. I am not a doctor so I can’t tell you go for it! You will have to decide if it is ok or not for your baby to eat those. But to me it is a great healthy recipe for toddler and I would have given those to my 9 months little girl. Sweet potatoes are great for babies and if your baby is not allergic to eggs, cheese or breadcrumb I am sure this is an healthy choice. Let me know if you decide to try this ! It is very yummy and my 4 years old little girl loves them in her lunchbox. I will try those on my son when he is older – only 6 weeks for now ! Enjoy the blog and thanks for reading me ! xoxo, Carine. Have these baking right now! Can’t wait to give them to my little boy and have for my lunches this week! Hi, I am sure your little boy will love them ! it is always a big hit with my 4 years old girl. Let me know how it goes 🙂 Thanks for testing my recipes and reading my blog <3 xoxo Carine. Do you think these will go well cold in a lunchbox? Hi, yes absolutely. My girl is 4 years old and she is having those in her lunch box with hummus or tomato sauce to dip them in! Always a winner with her. Enjoy the recipe with your kids Karina. xoxo Carine. Do you think these can be frozen after they are baked? Sure you can! I would recommend to rewarm in the oven for less than 10 minutes if you freze them baked or it will dry out. Enjoy ! xoxo Carine. Does the taste differ with using basil instead of cilantro? It slightly change the taste, cliantro has a stronger flavor than basil when cooked. Kids prefer basil. Enjoy the tots! xoxo Carine. Have you tried them without the cheese? My little one is dairy free. They look delicious! Hey what do you mean by brown onion? Fried onion? Hi, Brown onions are the most common type of onion and they keep longer than other varieties. If you can’t find them in store replace by white onion, a small brown onion is about 2 tablespoons chopped white onion. This recipe is using raw chopped brown onion variety. Enjoy the recipe, xoxo Carine. Do you mean a shallot? That’s the only variety of onion that starts as small brown onion and would be about 2 tablespoons chopped that I can think of…. No, I mean brown onion. Brown onion is a variety of small onion, less strong than white onion, size of a shallot. But shallot will work too in the recipe. Enjoy, XOXO Carine. Hi, I love to rewarm those in hot oven, 320F for about 10 minutes or until crispy outside. I don’t like microwave – they get some and chewy. Other option is to eat them cold or at room temperature. My 5 year old eat them cold in her lunchbox dipped in hummus. Enjoy the tots ! Thanks for making my recipes in your kitchen. XOXO Carine. I have been making these tots since I found your recipe. However as i live out of town i was missing a few if the ingredients to i substituted them by deleting the egg, i also used almond meal as a substitute for the bread crumbs. I also do catering and have found them to be great i can cook them quickly in a non stick fry pan for gluten free guests, i get many complements. How amazing is that ! I never thought it will work without eggs and almond meal. I love it! Finally a paleo vegan option to this lovely recipe, thanks to you !!! Thanks again for testing the recipe and taking a minute to report back. 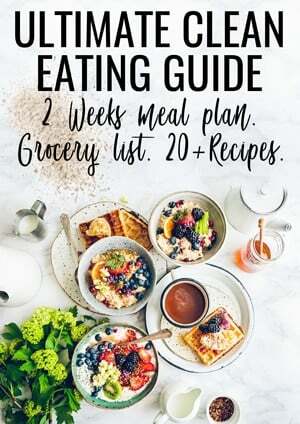 So helpful 🙂 Enjoy the blog recipes. XOXO Carine. Hi. What’s the purpose of the flaxseed mixture? That’s not an ingredient that I normally have, so what would be a good substitution? Of course! the recipe said 1 eg yolk OR flaxseed mixture – it is a egg free option for vegan followers. If you can eat eggs, you a regular egg yolk! Enjoy the tots! XOXO Carine. Thank you for your lovely feedback, I am so glad your little one enjoy his sweet potato tots. My kids are big fan of those too. Enjoy the blog recipes, XOXO Carine.